Eyelash Extensions – Semi-permanent faux mink lashes that lengthen and thicken your eyelashes and look and feel like your own. Extensions are applied hair by hair to create a natural and flawless look. Individual Lashes – Perfect for filling in sparse areas of your lash line. 2-6 lashes are grouped into permanently curled flares that are lightweight and easy to apply. Strips – Removable, reusable, and easy to apply. Strip lashes are made from 100% human hair and are applied with temporary adhesive. Perfect for special occasions and come in an array of different styles. 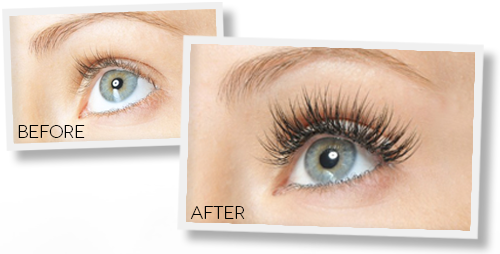 Read our FAQ Page to find out more about Eyelash Extensions!